The severity of these symptoms varies from person to person. Asthma can be controlled well in most people most of the time, although some people may have more persistent problems and need hospitalisation. Asthma is caused by inflammation of the small tubes, called bronchi, which carry air in and out of the lungs. If you have asthma, the bronchi will be inflamed and more sensitive than normal. After a trigger (see below) airways become narrow, the muscles around them tighten, and there is an increase in the production of mucus. 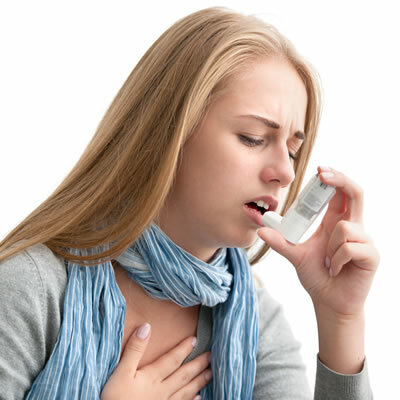 Common asthma triggers include: house dust mites, animal fur, pollen, cigarette smoke, exercise and viral infections. Asthma can develop at any age, including in young children and elderly people. The Buteyko Method assists people to bring their breathing pattern back to normal. When the breathing pattern stabilises and the breathing rate returns to a more normal level, a range of body functions may improve as breathing becomes more efficient. Smooth muscle around the airways may relax and oxygen delivery to the cells may be optimised. In addition, histamine and mucous production may reduce, helping to reduce inflammation of the airways.